No, Venezuela is not the new Syria. Russia’s deployment of military personnel to Venezuela last week provoked much hand-wringing and some fierce language from Washington. 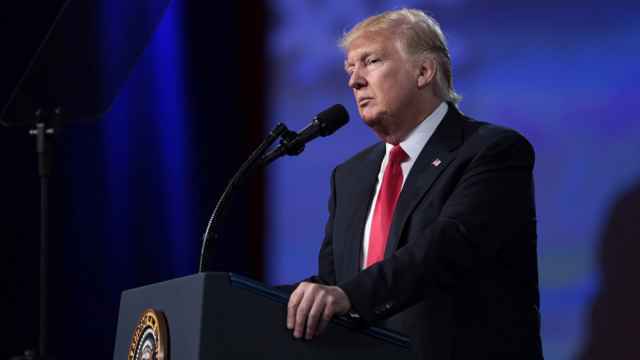 U.S. President Donald Trump, Vice President Mike Pence and Secretary of State Mike Pompeo have all called on Moscow to “get out” of Venezuela, end its support for President Nicolas Maduro’s government and help engineer a peaceful transfer of power to opposition leader Juan Guaido. Elliot Abrams, the U.S. special envoy for Venezuela, condemned the Russian military role in Venezuela as “extremely pernicious” and threatened a U.S. response with new sanctions. Moscow, meanwhile, has responded with much more restrained language, at times trolling and taunting Washington. 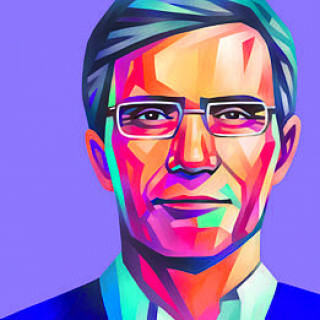 “They shouldn’t worry about our deployments in Venezuela, they should focus on their withdrawal from Syria,” Putin’s foreign policy adviser Yuri Ushakov said. “First of all, we would like Washington politicians to look at a map. Part of Russia’s territory — the Chukotka Peninsula — is located in the Western Hemisphere. In other words, the American continent is a close neighbor of Russia,” quipped Foreign Ministry spokeswoman Maria Zakharova. 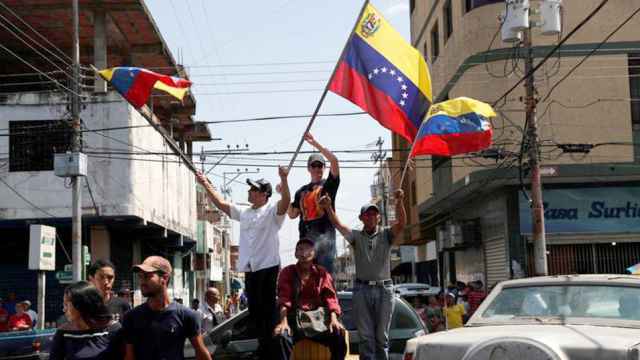 Washington seems to be working against Russia repeating the “Syria scenario” in Venezuela. In August 2015, Moscow deployed a small fighting force to Syria in support of President Bashar al-Assad, upending the balance of forces, creating new leverage for Russia and limiting American room to maneuver. 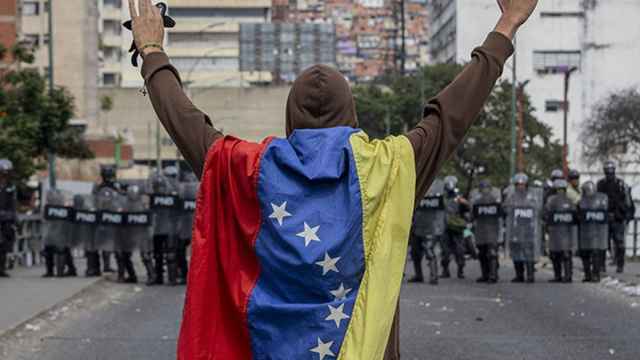 Were something similar to materialize in Venezuela, U.S. plans to peacefully unseat Maduro by providing international recognition and legitimacy to Guaido could quickly unravel while drastically raising the costs of U.S.-led military intervention in support of the opposition. Washington’s fear is probably misplaced. 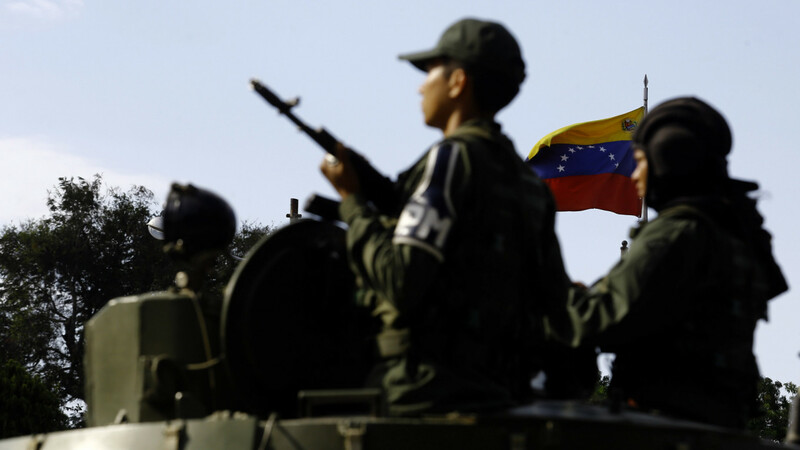 Although top Russian military leaders have talked about using Syria as a template for “limited military operations abroad” in support of Russian interests, Venezuela’s ill-suited for such operations due to its distance from Russia and proximity to the U.S. Nor are there clear military objectives in Venezuela apart from deterring outside military intervention. Russia’s actions in Venezuela resemble the Soviet Union’s strategy in Nicaragua in the 1980s, when it provided economic aid and military support to the Sandinista government against anti-communist insurgents (the Contras) equipped and supported by the United States. (It is ironic that Abrams, the architect of the U.S. Contra strategy, is now the U.S. special envoy for Venezuela). Russia’s actions in Venezuela resemble the Soviet Union’s strategy in Nicaragua in the 1980s. Russia believes that the U.S. will eventually change its strategy from “regime change by Twitter” to supplying arms to the opposition to overthrow Maduro. Moscow is thus engaged in great power resolve signaling — making it clear to Washington that it no longer has freedom to take military action in any part of the world against Russian objections. 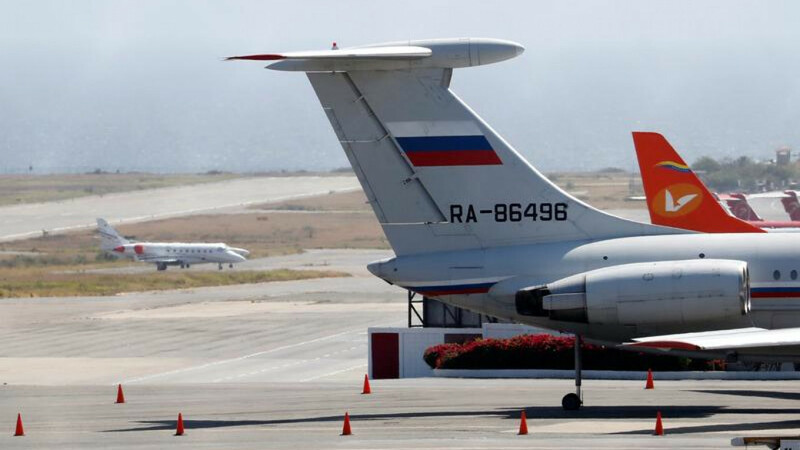 It is highly symbolic that Russia is expanding its presence in Venezuela to deter possible U.S. intervention on the 20th anniversary of NATO’s bombing of Yugoslavia. It has become a common lamentation in Moscow that in 1999 Russia was too weak to deter NATO. The Kremlin is sensitive to undesirable parallels were it to fail in Venezuela, and as a result the country is viewed as an important test of Russia’s ability to defend its interests and allies globally. By taking a stand in the United States’ backyard, Moscow also hopes to make itself a more valuable partner for Washington on other issues, particularly those in Russia’s backyard. While structuring a “big deal” with Trump that would require haggling on Venezuela, the Middle East and Ukraine is probably not feasible, simply re-engaging with Washington on equal footing is in itself important. 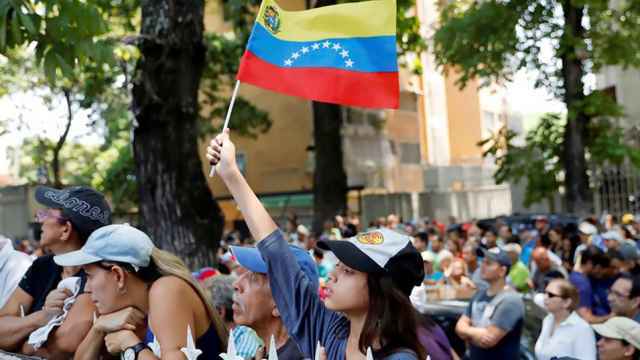 Moscow was pleasantly surprised by U.S. outreach to launch bilateral talks on Venezuela and agreed to a meeting in Rome two weeks ago. The talks turned contentious, however, with both sides sticking to their incompatible narratives. Still, Moscow hopes to continue with the format. Russia’s preference would be to mediate between Maduro and the opposition and engineer a settlement with new presidential and parliamentary elections in ways that would look like an internal decision, not something dictated from the outside. It is not too large a gap to bridge.